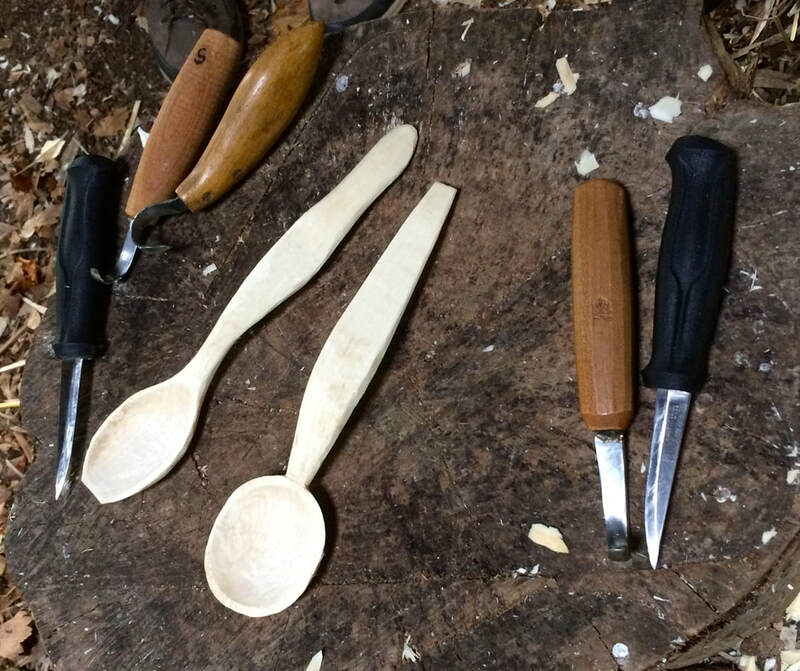 Learn the art of making a spoon from green wood - therapeutic, creative, satisfying and useful! In Neroche Woodlanders' beautiful home at Young Wood, you will be given full tuition, with all tools and materials provided, and you will leave with your own unique spoon creation. 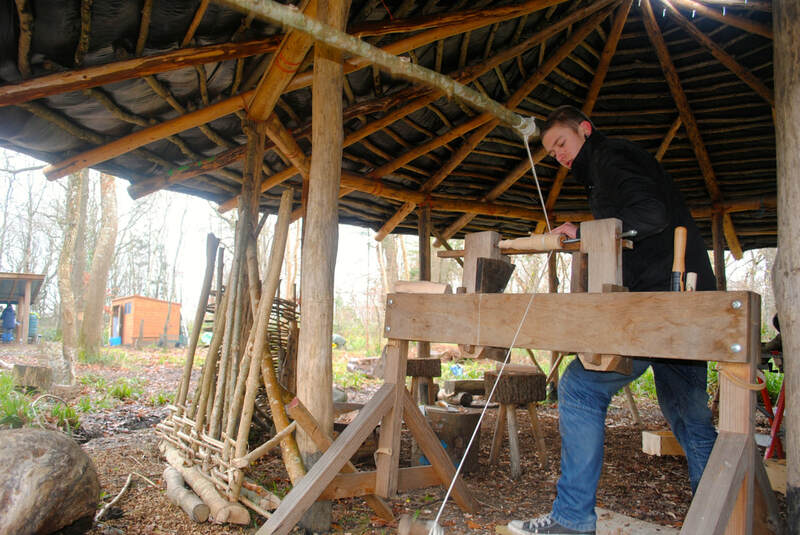 A great introduction to the wider craft of green woodworking. No previous experience necessary. 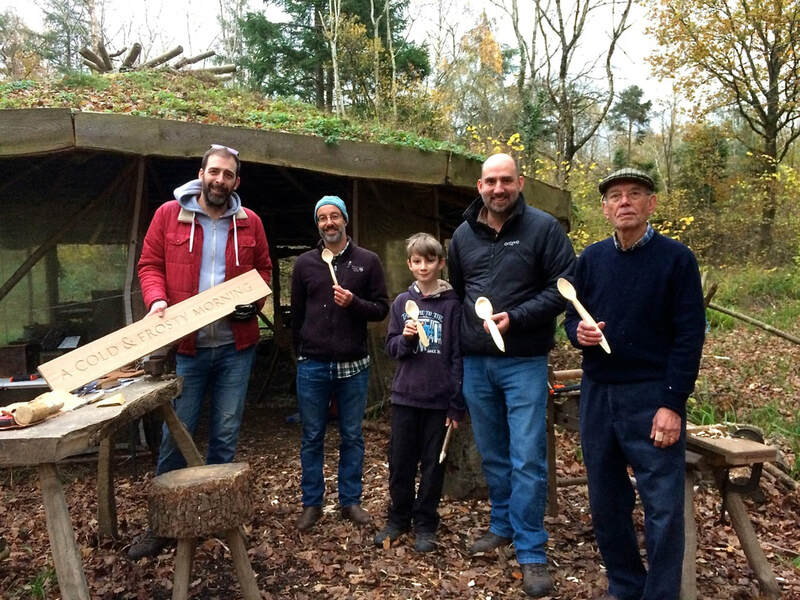 Led by green woodworker Gavin Saunders. Days where you can immerse yourself in pursuing one of several green wood carving projects: carve a spoon from a birch log with axe and knife; learn how to carve lettering (for example to make a house sign); carve a bowl with chisel and mallet from a willow log; or try turning a rounders bat or rolling pin on the pole lathe, make a stool or some other project. We provide the wood, all the tools and all the instruction, and you can leave with your own finished piece of work. Relaxed, achievable, enjoyable, in a beautiful, peaceful setting. Bring your own packed/picnic lunch and we'll provide hot drinks through the day.